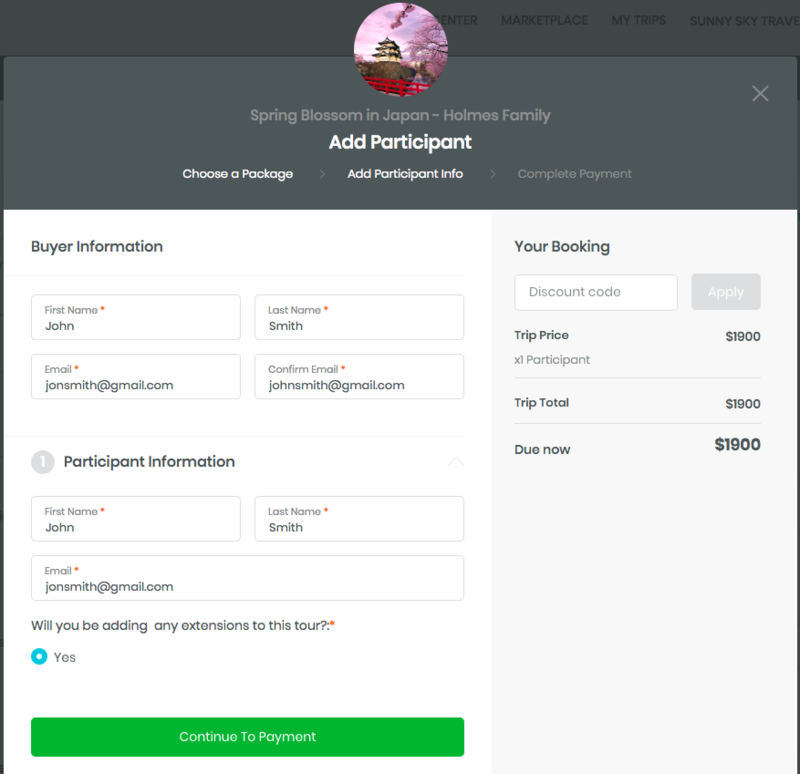 Do you have a client on the phone or in your office and you're ready to take their details to complete the booking? 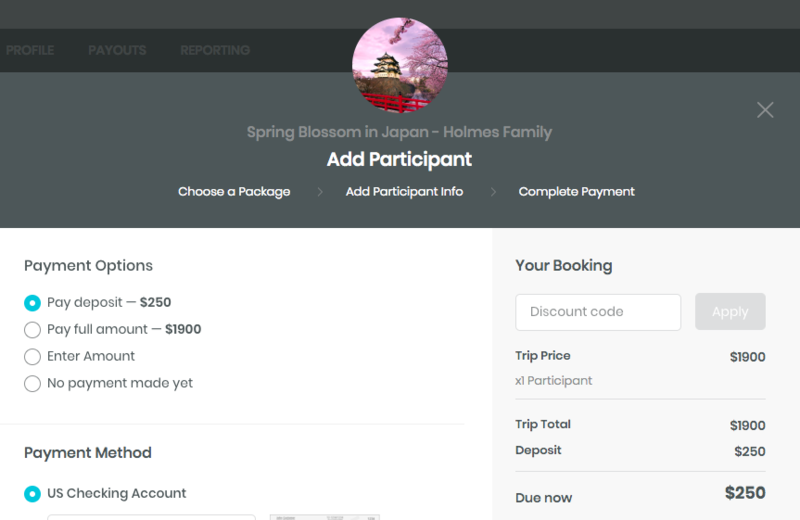 Use the "Add Participant" function to add participants manually to your trip dashboard. 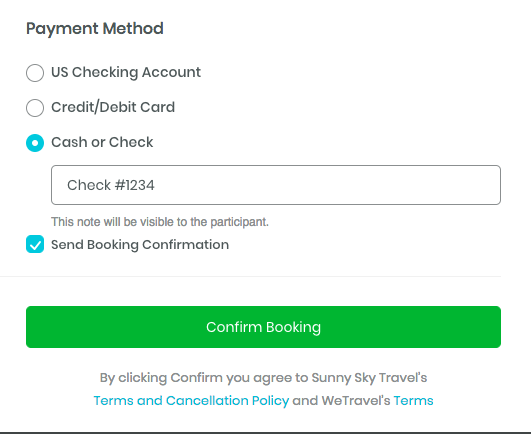 You only need your client's name and email to sign them up for your trip. 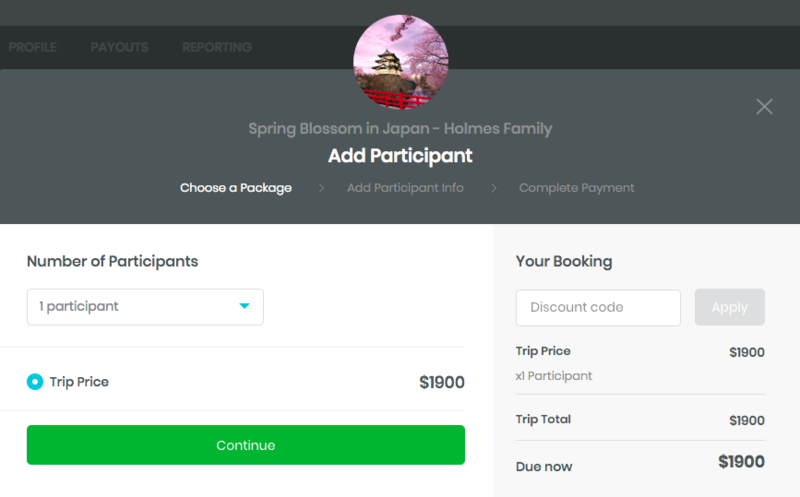 To start, go to your trip dashboard and choose "Add Participant"